Swansea took their place in the quarter-finals of the FA Cup with a 4-1 comeback win to knock out visitors Brentford on Sunday. During a first half in which the Londoners dominated proceedings, Ollie Watkins scored a 28th-minute goal after Brentford escaped on the counterattack. But Swansea equalised quickly after half-time when Bersant Celina's free-kick rattled off the post before the ball came off Brentford keeper Luke Daniels for an unfortunate own goal. 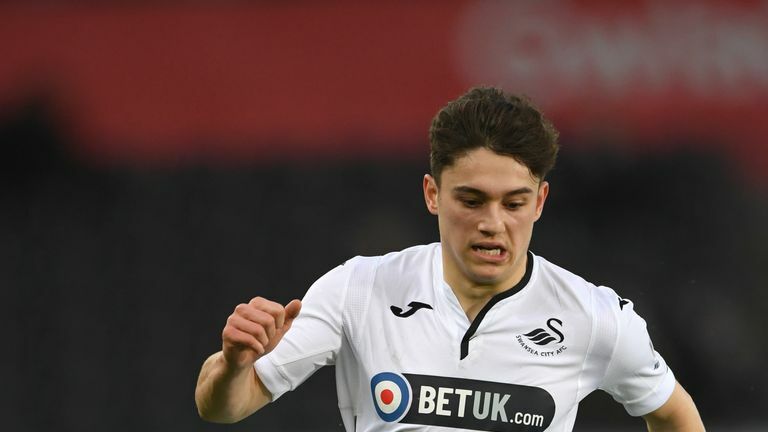 Dan James then scored a breakaway goal to put Swansea ahead in the 51st minute, running from within his own half of the pitch to notch, before a piece of solo skill from Celina, cutting in from the left touchline, put Swansea 3-1 up midway through the second half. 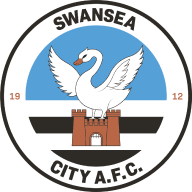 Swansea: Nordfeldt (6), Naughton (6), van der Hoorn (6), Carter-Vickers (6), Roberts (7), Fulton (7), Grimes (7), James (9), Byers (7), Celina (8) McBurnie (6). 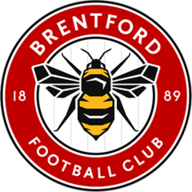 Brentford: Daniels (6), Konsa Ngoyo (3), Jeanvier (5), Barbet (4), Canos (6), Mokotjo (5), Sawyers (5), Odubajo (5); Watkins (7), Maupay (6), Benrahma (7). After Ezri Konsa was sent off for a foul on the rampant James, the fourth eventually came when James and Celina set up George Byers to finish from outside the box in the 90th minute. For Brentford's goal, Neal Maupay set up Watkins to drive his shot across Kristoffer Nordfeldt from close range. The margin might have been greater at half-time. Swansea did not have a single shot on target in a first half after which they were booed off by home fans in what was a half-full Liberty Stadium. But Graham Potter's team rallied, with both Celina and James to the fore as Brentford were put to the sword by the speed of attacks. Oli McBurnie started for Swansea after recovering from flu while Brentford manager Thomas Frank made just one change from the team that beat Aston Villa in midweek with Luke Daniels replacing Daniel Bentley in goal. 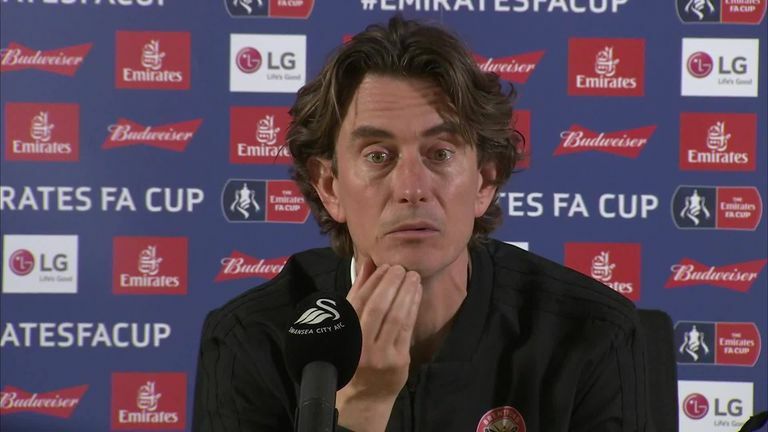 James' goal followed a mistake in midfield which left the winger with the space to surge on and score past Daniels, while Celina's strike came after the Kosovan had had the luck of the bounce of the ball in the Brentford area. Potter's team thought they had a fourth just two minutes later when Connor Roberts netted after Daniels had made a save from Celina, only for that to be ruled out by a delayed offside decision. Konsa's dismissal and Byers scoring the fourth for Swansea late on completed a miserable afternoon for Brentford and their manager Thomas Frank, who was booked in the second half for withholding the ball from Swansea forward Oli McBurnie. Swansea are in the quarter-finals for the second season in a row. They have not reached the semi-finals since the 1963-64 season. The winger's second-half appearance was the difference as his speed and direct running battered Brentford. His breakaway solo goal to put Swansea 2-1 up and the red card Konsa received for fouling him were the decisive moments. Brentford have lost each of their last six matches against Swansea in all competitions. Daniel James has scored twice and assisted once in three FA Cup appearances at the Liberty Stadium for Swansea City. Brentford's Neal Maupay had a hand in four goals in four FA Cup appearances this season (3 goals, 1 assist). Bersant Celina has scored in each of his last two FA Cup appearances for Swansea, also netting against Gillingham in the fourth round. Swansea have scored 18 goals in their last four home FA Cup matches against non-Premier League opponents. Swansea will discover their quarter-final fate when the draw takes place on Monday after Chelsea vs Manchester United. Swansea play away at Sheffield Wednesday next Saturday at 3pm in the Championship, while Brentford host Hull at the same time.